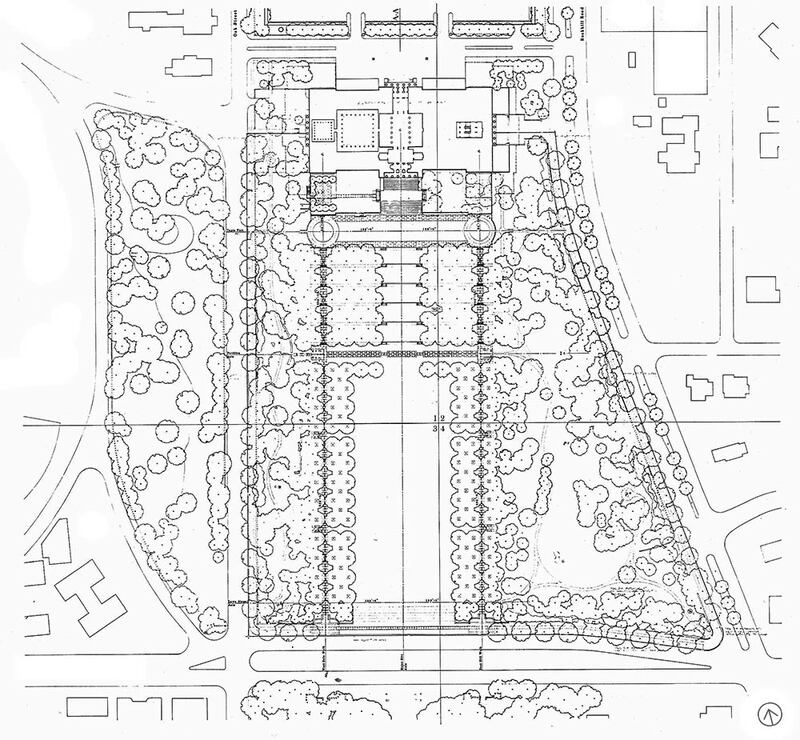 The two developed a landscape plan that pays homage to the classical geometry of the Beaux-Arts structure designed by architects Wight and Wight. 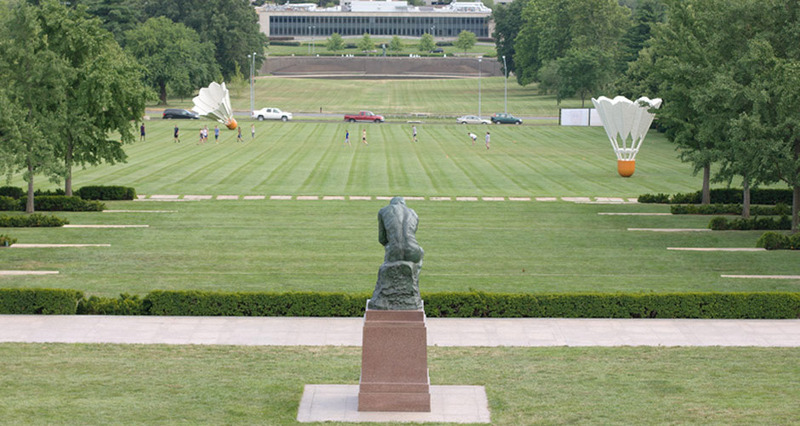 From the museum’s southern façade, a set of five, wide terraces steps down to a broad lawn. From above, the terraces appear as a continuous expanse of lawn, mimicking a ha-ha wall in design. From below however, it is possible to see the intricacies of the plan. Japanese yew hedges and rows of ginkgo tress run along the width of each terrace, reinforcing the grade change as the terracing steps down from the museum to the lawn. 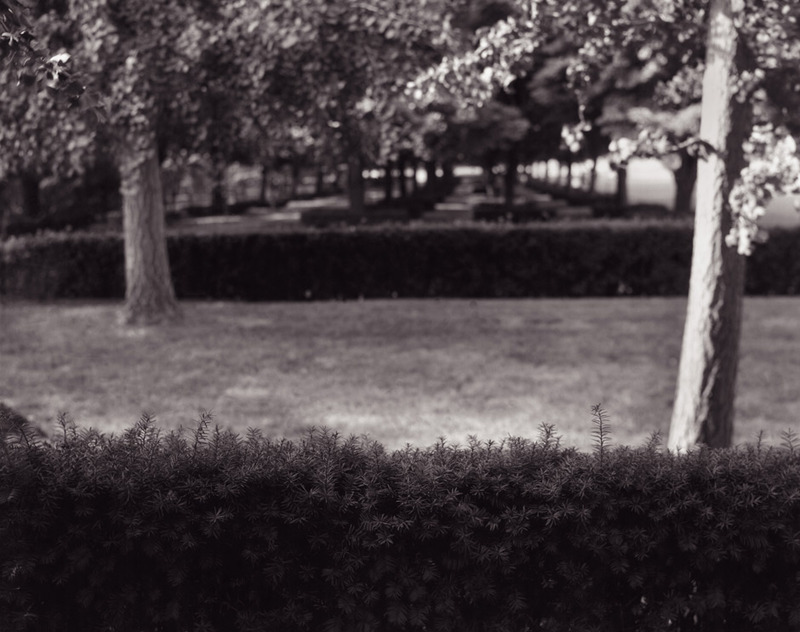 These plantings break in the middle, creating a framed view that runs the length of the garden from the museum’s colonnaded entry to the end of the lawn. Concrete stairs are set into the terracing along each edge of this framed vista providing access at each level. At the base the steps meet a path of rectangular limestone blocks that frames the upper edge of the open expanse of lawn, which sits below. Wide pathways along each side of the site frame the lawn and act as central circulation paths. These descend by way of steps where they traverse the terraced landscape, then take the form of wide limestone blocks that create a zipper-like pattern within the grass. 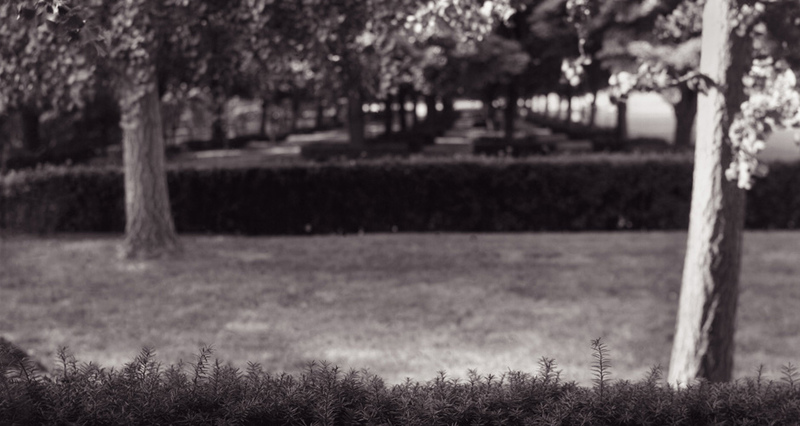 Where the two paths edge the open lawn they are set within dual allées of Redmond linden. 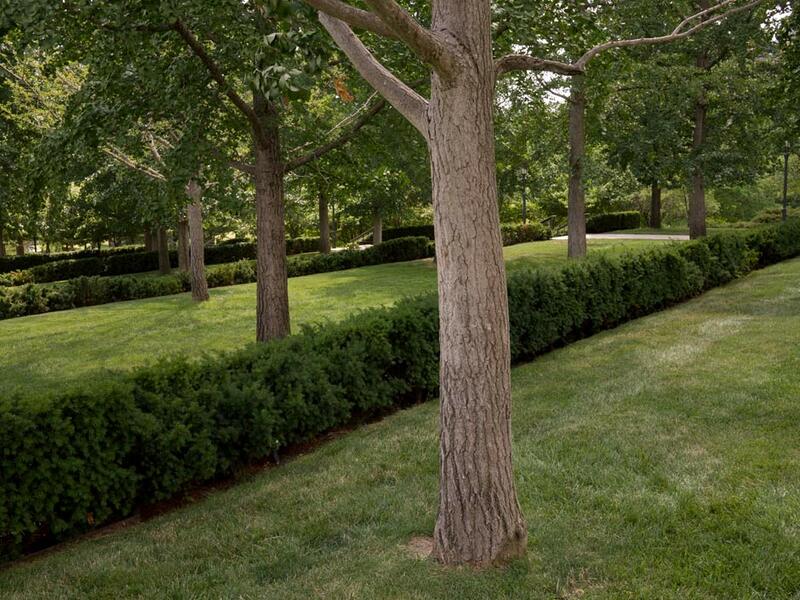 A low, square yew hedge encircles the base of each linden tree, echoing the straight yew hedges that line the terraces above. This central highly articulated landscape is nested within a more naturalistic expanse of parkland. Curving brick paths, entered by way of simple steel trellises wind under groves of evergreen pine and spruce, and deciduous maple, oak, dogwood and redbud trees. Here, Kiley and Robertson placed many of Moore’s sculptures. 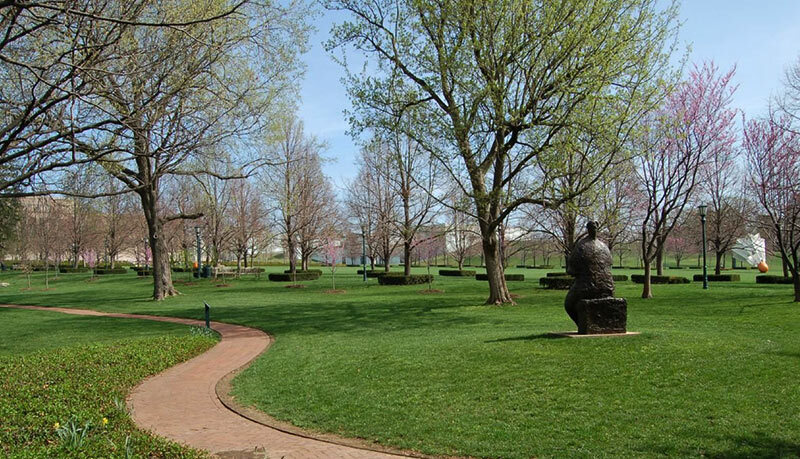 Kiley saying “… the project was also an attempt to provide a space in which artworks could be displayed as the integral anatomy of a garden … This type of exploration differs from the idea of sculpture parks or environmental art that have sprung up in the past two or three decades. Here, we were constructing a garden to best display completed works of art, whereas the other solution usually supports art and landscape as simultaneous, symbiotic developments, viewing both as materials to be manipulated into one, codified expression.” More sculptures were donated to the museum and added to the park in the 1990s including Shuttlecocks, a four-piece sculpture created by artist Claes Oldenberg that sits along the central lawn. 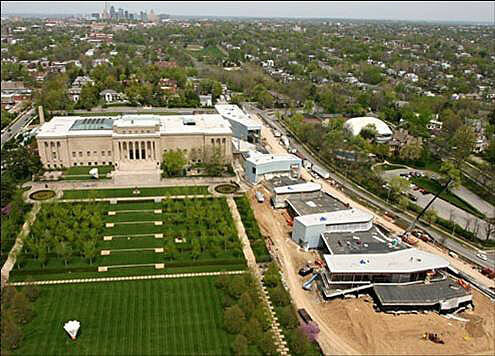 In 2007, an addition to the museum claimed a portion of the Kiley design, a problem not exclusive to the Nelson-Atkins (see recent additions to the Isabella Stewart Gardner in Boston, MA, and the Kimbell Art Museum in Fort Worth, TX, which are discussed in the article Shouldn’t A Museum’s Collection include its Designed Landscapes?). The Steven Holl-designed Bloch Building was constructed in the eastern woodlands of the site. There have also been maintenance issues, particularly with the replacement of trees integral to the design and other forms of site erosion. 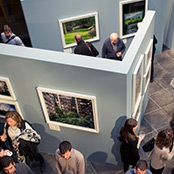 We applaud the museum’s inclusion of a significant description of the landscape and design on their Web site, and hope that this same consideration is applied to providing continued and improved maintenance to the landscape – the same care and attention that a museum provides to its other works of art. 1 Kiley, Dan and Jane Amidon, Dan Kiley: The Complete Works of America’s Master Landscape Architect (Boston, New York, London: Little, Brown and Company, 1999), 116. Dan and I first worked together on a house outside Minneapolis; a “cold winter” setting that he understood well but which in good weather, he made lovely with a sunken garden in the footprint of a burnt-out barn. 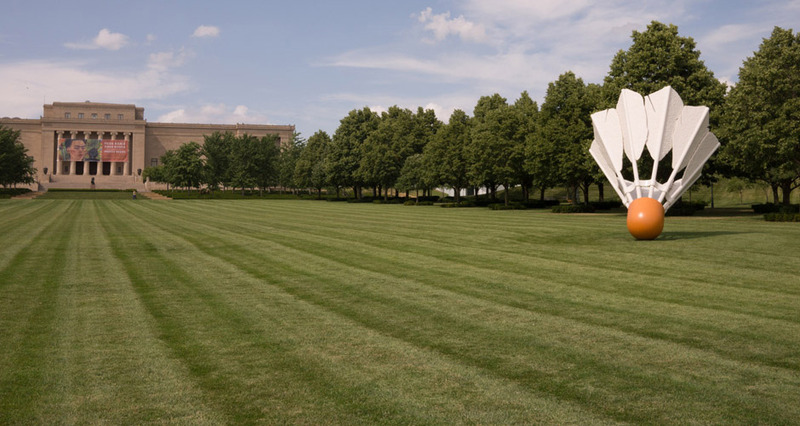 This first “collaboration” led us to join forces in a competition to design a Sculpture Garden for a large collection of Henry Moore’s work at the Nelson Atkins Museum, a great neoclassical building in Kansas City. 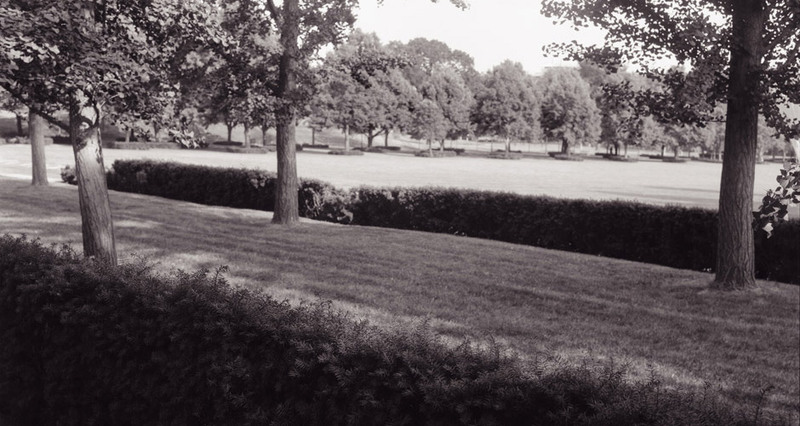 We agreed on a long upward sloping “Jeffersonian lawn” that gave way to wide grass terraces, planted with 90 ginkgo trees. 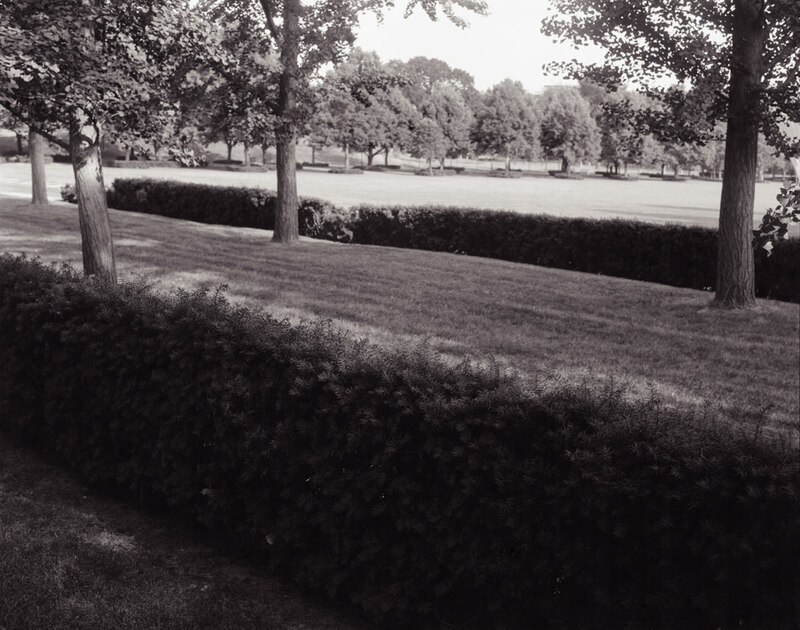 The sculptures were located in two linear gardens that flanked the lawn, one a wooded dell, the other a rising ridge. We won! Shortly thereafter several giant shuttlecocks by Claes Oldenburg were placed on each side of the Museum – a playful move Dan and I enjoyed. Dan loved Le Nôtre, Vaux-le-Vicomte, French elegance and symmetry. Our discussions went everywhere: what he read: Jefferson Goethe, Heraclitus, Henry James; why he never taught, who in his field he admired etc, etc. So that being with him meant taking an unexpected vacation to places you didn’t know existed; a trip which changed your life. 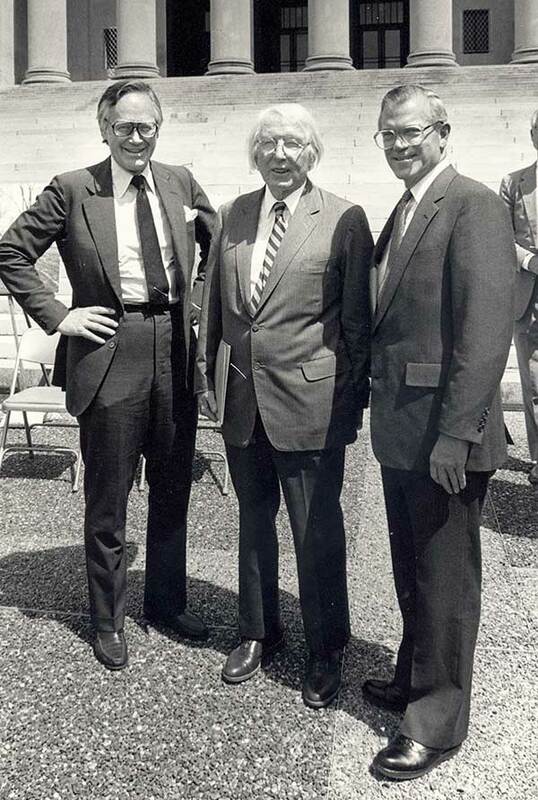 When I became Dean of Architecture at the University of Virginia I organized I symposia around his work and his life. He says it all; which explains why he continues to be such a powerful presence. I can hear him laughing as I write this. OK, you were the best! 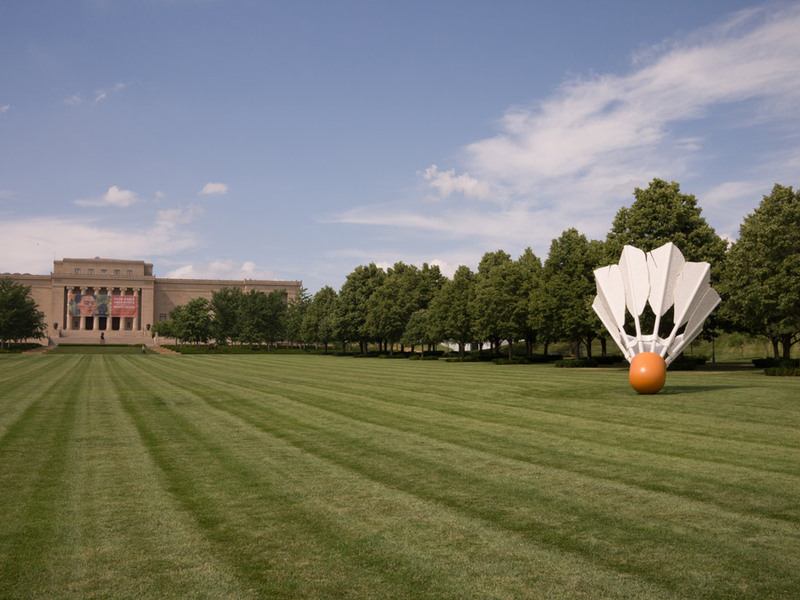 The Nelson-Atkins Museum of Art. “Donald J. Hall Sculpture Park,” http://www.nelson-atkins.org/collections/collection-history-KCSP.cfm. Stephens, Suzanne, “Nelson-Atkins Museum of Art,” Architectural Record, July 2007, http://www.bendheimwall.com/press/article_nelsonAtkins-ArchRecord.htm. Museum Freak. “Reclining Connected Form by Henry Moore,” http://themuseumfreak.wordpress.com/2011/05/13/reclining-connected-form-by-henry-moore/. Tibbetts, John C., “A Natural Home for Henry Moore Sculptures,” The Christian Science Monitor, July 10, 1989, http://www.csmonitor.com/1989/0710/lmoore.html. Iovine, Julie V., “Steven Holl’s Dark Year Gets Brighter,” The New York Times, December 31, 2006, http://www.nytimes.com/2006/12/31/arts/design/31iovi.html?pagewanted=print&_r=0. The Cultural Landscape Foundation. 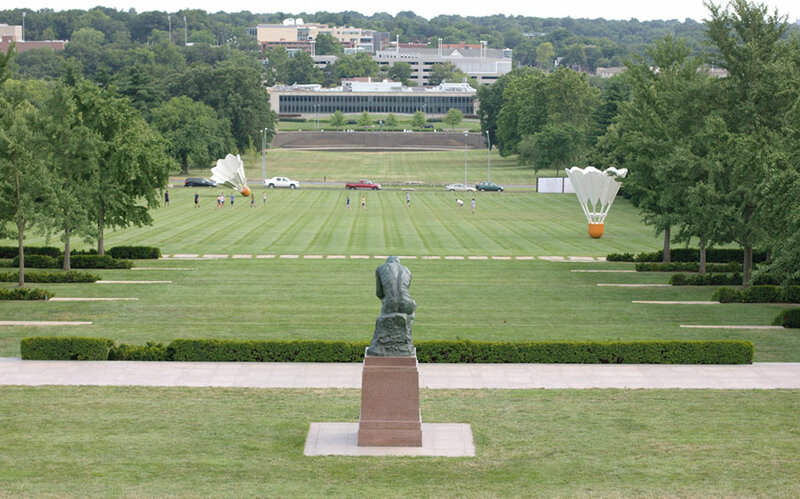 “What’s Out There: Nelson-Atkins Museum, Donald J. Hall Sculpture Park,” http://tclf.org/landscapes/nelson-atkins-museum-donald-j-hall-sculpture-park. Kiley, Dan and Jane Amidon. 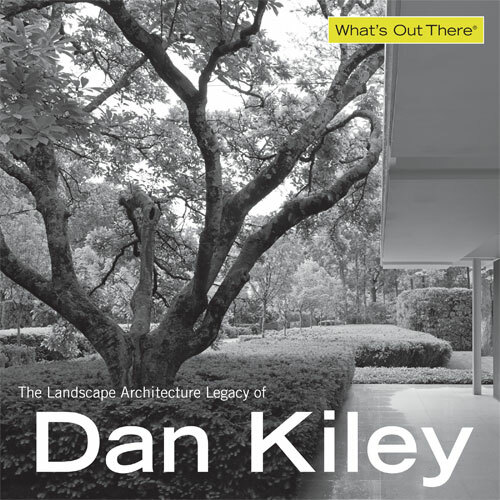 Dan Kiley: The Complete Works of America’s Master Landscape Architect (Boston, New York, London: Little, Brown and Company, 1999), 112-117. “Dan Kiley: Landscape Design II.” Process: Architecture 108. (Tokyo: Japan, Process Architecture Publishing Co., 1993), 94-99. Dan loved Le Nôtre, Vaux-le-Vicomte, French elegance and symmetry. Our discussions went everywhere: what he read – Jefferson, Goethe, Heraclitus, Henry James, why he never taught, who in his field he admired ... So that being with him meant taking an unexpected vacation to places you didn’t know existed: a trip which changed your life. Walstrand received her MFA from the University of Iowa and is a Professor of Photography at Missouri State University. Her work has been included in national and international exhibitions and in university galleries. She has served as Artist in Residence in programs in Wyoming, Nebraska, and Assisi, Italy. Her images have been published in Orion Magazine and in the Book of Alternative Photographic Processes.